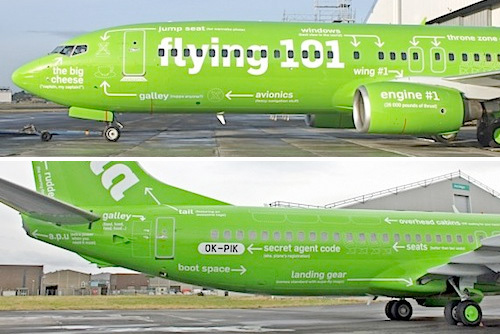 kululua Airline's Rebranding Is Like Aviation 101 | OhGizmo! 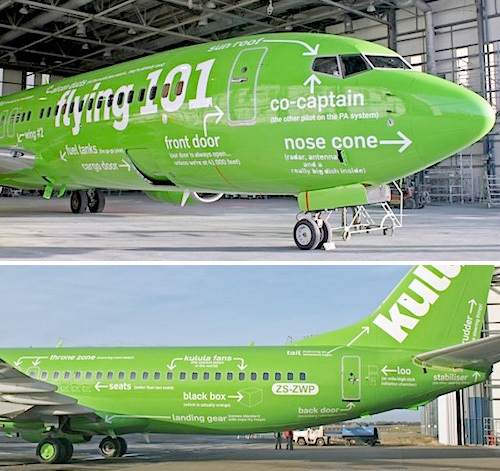 If you’re ever flying on South Africa’s kulula airline you’ll never have to worry about hearing an intercom announcement asking if there’s a pilot on board, because their recent rebranding will leave every passenger with a basic knowledge of aviation and aircraft. It’s rather clever and educational (I had no idea where the black box was stashed) though something tells me it would never fly in certain countries (no pun intended) because who knows how this knowledge could be used. Seems a little condescending, like all of the passengers are total idiots. I love the green, but educational is never hurtful.